We, as the GT team, are very happy to hear that our intern technical student Harm van der Velden has accepted a job with GT and AE Magnetics. Harm van der Velden has has been assisting Green Turbine for several months with the technical development of the steam turbines. Last month he graduated veru successfully his study Thermodynamics with a high final mark of 8,5. Harm was a master student Mechanical Engineering at the The Technical University in Eindhoven. His master master thesis presentation was called: Performance Verification of a Double Steam Turbine for Electricity Generation” a study about the Waste Heat Recovery Applications with the GT. The team of Green Turbine is very proud of Harm and wish him success with his future work. Wij als team van Green Turbine, zijn heel blij dat stagiair Harm van der Velden heeft besloten ons te blijven helpen bij het verder ontwikkelen en bouwen van onze kleine stoomturbines. Harm werkte al enige maanden als stagiair bij AE Magnetics te Sprang Capelle. Verleden maand heeft hij zijn afstudeerperiode succesvol afgerond met een cijfer 8,5. Harm gaat nu bij AE Magnetics BV aan de slag, maar heeft ook besloten Green Turbine te blijven assisteren bij de verdere ontwikkeling. Harm van der Velden was a master student Mechanical Engineering aan de TU in Eindhoven. Hij is afgestudeerd met een stage en scriptie over het Green Turbine Waste Heat Recovery System bij AE Magnetics BV in samenwerking met Green Turbine. Het team van Green Turbine is heel trots op Harm en wenst hem heel veel succes toe! Over 2100 exhibitors presenting their innovation in the maritime sector will gather in Hamburg from 6th until 9th September 2016 at theSMM, the leading maritime trade fair held regularly every two years. SME Instrument will be present with eight most innovative companies in the field. Our champions will introduce their work and plans in a short pitch, so dont miss the unique opportunity to meet them on Thursday 8th September at 5:15 pm, Hall B7, Room B7.1 at the Hamburger Messe. SMM covers the whole of the value chain of the maritime industries, bringing together the decision makers from all parts of the world, as a platform for innovation. 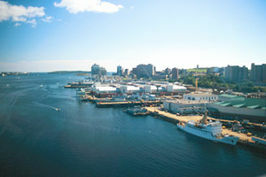 More than 50 thousand visitor are expected. Stringent climate policies would increase the cost of fossil fuels, including those used for the cleaner burning stoves (such as kerosene, liquefied petroleum gas, electricity, and piped gas) that are slowly replacing traditional cooking fuels. Without simultaneous targeted efforts to increase funding for energy access, many who would otherwise have been able to switch from traditional solid fuels to modern cooking fuels would no longer be able to afford the switch, according to a study published in the first issue of the new journal Nature Energy. 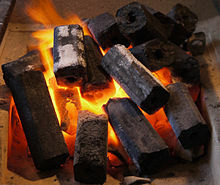 Currently, three billion people worldwide rely on solid fuels such as firewood, charcoal, coal, and dung for cooking. Burning these types of fuels, especially indoors, is a major source of air pollution, and is estimated to lead to 4.3 million premature deaths each year. The Sustainable Development Goals have set a target of achieving universal access to modern energy by 2030–but at the same time they call for urgent action to combat climate change. The new study focused on South Asia, where an estimated 72% of the population still relies on solid fuels for cooking. It shows that on the current trajectory, by 2030 that number could be reduced to 727 million (35% of the population). But with climate policies and no complementary energy access policies, the study shows, an additional 336 million people who would have otherwise switched to modern fuels will be unable to afford the switch. The researchers relied on “Access,” a residential fuel choice model and the IIASA Model for Energy Supply Strategy Alternatives and their General Environmental Impact (MESSAGE) to evaluate four scenarios for climate mitigation at varying levels of policy stringency, each considering a range of subsidies supporting clean fuels or stoves. “We found that as we increased the carbon price, the detrimental effect on energy access increased disproportionately to the beneficial effect for the climate,” says Colin Cameron, a co-author on the paper. The study also found that the people most impacted by policies on climate and energy access were neither the poorest nor the richest, but rather those slightly above the poverty line but for whom energy access may be just out of reach. UGE International Ltd. has installed two on-site wind turbines on the Eiffel Tower as part of a major renovation to the first floor of the iconic structure. The two UGE VisionAIR5 wind turbines will produce 10,000 kilowatt hours annually, enough to power the commercial areas of the Eiffel Tower’s first floor. The vertical-axis VisionAIR5 turbine has a height of 5.2m and a width of 3.2m. It has a cut in wind speed of 3.5 m/s and a survival wind speed of 50 m/s. UGE says the VisionAIR5 has been designed for a service life of at least 20 years and is ‘quieter than a human whisper’. In addition to wind power, the first floor renovation also included LED lighting and a solar hot water system mounted on Ferrié Pavilion; the output of which will supply approximately 50% of the water heating needs of the first floor’s two pavilions. A rainwater recovery system has also been installed to provide flushing water for toilet facilities. High-performance heat pumps have been integrated to improve temperature control and glazing has been used to reduce summer solar heat gain by more than 25%, reducing air conditioning related energy consumption. The renovation project was the most ambitious Eiffel Tower refurbishment in nearly 30 years. The Eiffel Tower was constructed in 1889 as the entrance arch to the 1889 World’s Fair. At 324 metres, it’s the tallest structure in Paris and was the tallest man-made structure in the world until 1930. 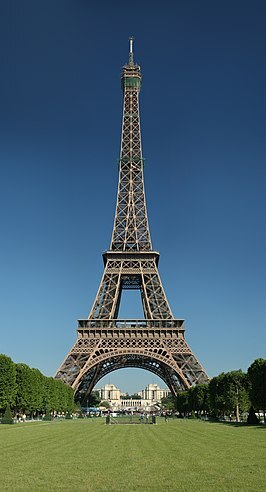 The iron in the Eiffel Tower weighs 7,300 tonnes and the entire structure is approximately 10,000 tonnes. Holding together the iron latticework are 2.5 million rivets. As with the Sydney Harbour Bridge, painting is a major maintenance task. 60 tonnes is used for every 7 year repaint. More than a quarter of a billion people have visited the Eiffel Tower since it was opened. The pace of solar energy development is accelerating as the installation of rooftop solar water heaters takes off. Unlike solar photovoltaic (PV) panels that convert solar radiation into electricity, these “solar thermal collectors” use the sun’s energy to heat water, space, or both. China had an estimated 168 million square meters (1.8 billion square feet) of rooftop solar thermal collectors installed by the end of 2010 — nearly two thirds of the world total. This is equivalent to 118,000 thermal megawatts of capacity, enough to supply 112 million Chinese households with hot water. With some 5,000 Chinese companies manufacturing these devices, this relatively simple low-cost technology has leapfrogged into villages that do not yet have electricity. For as little as $200, villagers can install a rooftop solar collector and take their first hot shower. This technology is sweeping China like wildfire, already approaching market saturation in some communities. Beijing’s goal is to reach 300 million square meters of rooftop solar water heating capacity across the country by 2020, a goal it is likely to exceed. Other developing countries such as India and Brazil may also soon see millions of households turning to this inexpensive water heating technology. Once the initial installment cost of rooftop solar water heaters is paid back, the hot water is essentially free. In Europe, where energy costs are relatively high, rooftop solar water heaters are also spreading fast. In Austria, 15 percent of all households now rely on them for hot water. Germany is also forging ahead. Some 2 million Germans are now living in homes with rooftop solar systems. Roughly 30 percent of the installed solar thermal capacity in these two countries consists of “solar-combi-systems” that are engineered to heat both water and space. The U.S. rooftop solar water heating industry has historically concentrated on a niche market — selling and marketing more than 9 million square meters of solar water heaters for swimming pools between 1995 and 2005. 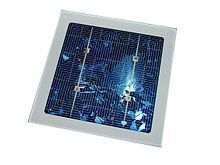 Given this base, the industry was poised to mass-market residential solar water and space heating systems when federal tax credits were introduced in 2006. Led by Hawaii, California, and Florida, annual U.S. installations of these systems have more than tripled since 2005. Despite the recent growth in U.S. installations, the country ranks 36th in installed capacity relative to its population, with just 0.01 square meters installed per person. Cyprus, on the other hand, currently leads the world in solar water heater area on a per capita basis, with 0.79 square meters per person. Israel ranks second with 0.56 square meters per person.